New York.- Primate of the Greek Orthodox Church in America, Archbishop Demetrios, will visit Cyprus July 2-6, at the invitation of Cyprus President Tassos Papadopoulos. 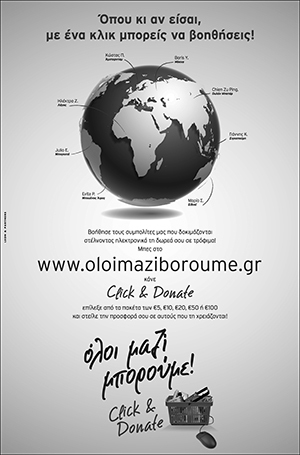 During his visit he will inaugurate a vocational training seminar for 22 teachers at Greek schools overseas. Demetrios will also attend a ceremony during which two veteran Greek American politicians, former Congressman John Bradimas and former senator Paul Sarbanes, will be decorated by President Papadopoulos. He will also attend a concert at the Presidential Palace, to be given by the Metropolitan Archbishopric youth choir. This is the second official visit of Archbishop Demetrios to Cyprus during a two-year period. 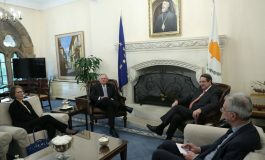 During his stay on the island, Demetrios will also meet among others with Archbishop of Cyprus Christostomos II, the members of the Holy Synod of the Church of Cyprus and Education Minister Akis Kleanthous. The vocational training seminar, which will take place July 5-19, at the University of Cyprus, will be organized under the auspices of Archbishop of All America Demetrios and Cyprus Education Minister.